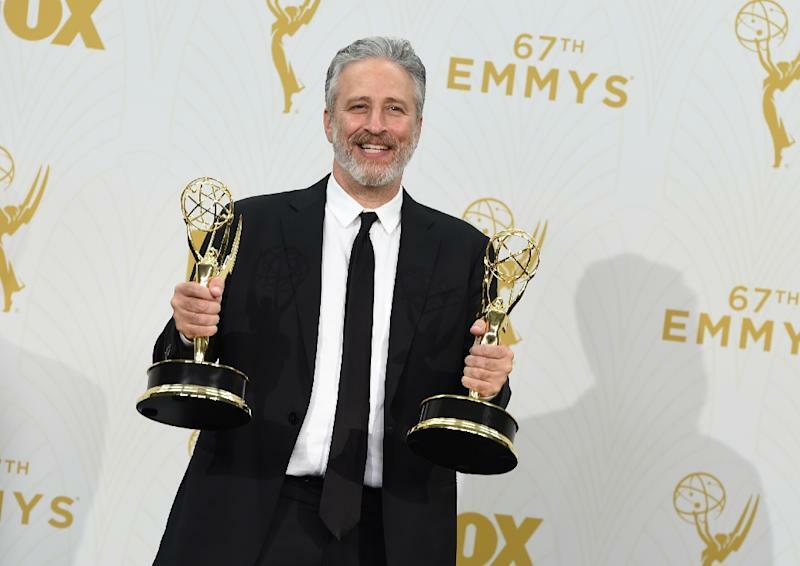 New York (AFP) - After signing off as host of "The Daily Show," comedian Jon Stewart has revealed a new vocation -- starting a sanctuary for abused farm animals. Stewart, who ended his influential show on the Comedy Central network in August, was honored with his wife Tracey at a gala Saturday night of Farm Sanctuary, which provides shelter to animals rescued from factory farms. "I'm a little uncomfortable. I've spent the last 20 years immersed in the world of Washington politics and the media landscape, so I don't know how to deal necessarily with people who have empathy," Stewart told the all-vegan banquet at The Plaza Hotel in New York. Tracey Stewart, surrounded by Jon and the couple's two children, announced that the family had bought a farm in New Jersey to serve as the group's latest animal sanctuary accompanied by an educational center. It will be the fourth rescue center that is part of Farm Sanctuary, which was founded in 1986 and already runs two sanctuaries in California and one in New York. The Stewarts did not give a date to open the fourth sanctuary. Stewart, whose show began in 1999, emerged as a liberal conscience and scourge of conservatives through his biting criticism of politicians and cable television news. For many younger viewers, Stewart himself became a primary media source. Stewart repeatedly raised animal welfare on his show, notably by lampooning New Jersey Governor Chris Christie for vetoing a proposed ban on confining pigs to small crates. Farm Sanctuary also honored Morrissey, the British singer known for his strident advocacy of animal rights, although the former Smiths frontman, who starts a tour of South America next month, did not come to New York for the gala. Other attendees included actor Jesse Eisenberg and US Senator Cory Booker of New Jersey, who described himself as the first-ever vegan in the Senate.